Total: 3.5 points out of 5, barely a classic Wisconsin fish fry experience. Prime Steer Supper Club offers a classic Wisconsin supper club experience and a decent fish fry as well. There were 2 of us in our party and even though it wasn't busy because of slippery roads, we had a 35 minute wait. We ordered brandy old fashioneds at the bar, nothing special but it hit the spot. The waitress eventually took our order and told us our table was ready whenever we wanted to go in. I ordered the perch platter with french fries and salad bar, and my friend ordered the bluegill platter with twice baked potato and salad bar. The salad bar was alright, fairly limited on choices but it did have cheese spreads, liver pate, and crackers to round out the supper club experience. I got 4 butterflies of perch and the it was fried nicely and tasted great. The french fries were your typical frozen french fries but were nicely cooked. My friend got 6 pieces of bluegill and a twice baked potato, both of which were tasty and cooked nicely. 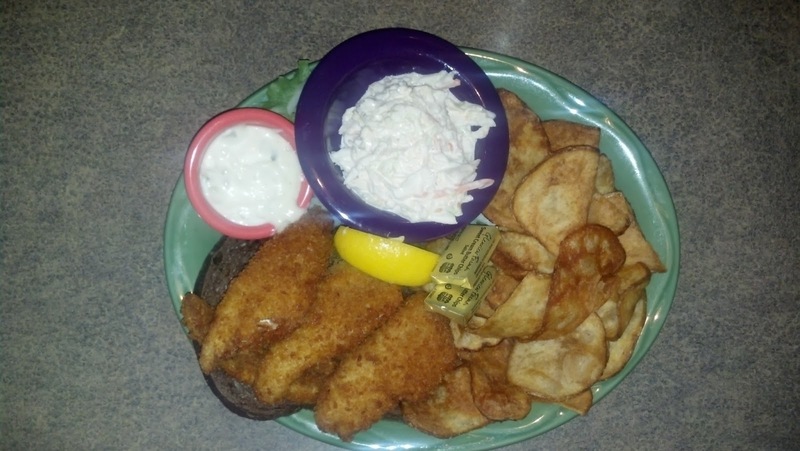 The rye bread was served bread basket style and was a lighter rye than the typical dark rye you usually get with a classic Wisconsin fish fry. All in all, Prime Steer Supper Club offers a decent supper club experience and a decent fish fry experience. But the food tastes great and they even offer bluegill as a fish fry special which is hard to find these days. Total: 4.5 points out of 5, definitely a classic Wisconsin fish fry experience. Mackinaws does a classic Wisconsin fish fry right. This establishment has a large bar and lots of seating, but still gets busy on a Friday night because the food is so good. There were 2 of us and the wait time ended up being about 35 minutes, not too bad. We took our seat at the bar, got our cocktails, and enjoyed an appetizer of Wisconsin cheese curds which were delicious. Our table was called and we were promptly seated at our booth. We looked around and noticed this place has a north woods feel with a variety of mounted animals and rustic outdoor sports decor. We both ordered the Lake Perch Dinner for $13.99, and our food came in quick order. 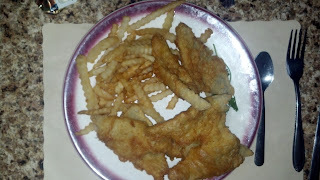 The perch was breaded perfectly and fried to a crisp texture and we got 5 pieces. I got the thick chips which were likely homemade and tasted great, and my friend got the garlic mashed potatoes which were real and also tasted great. The lake perch dinner came with a standard side of cole slaw, a creamy variety, and rye bread with raw onion. Mackinaws chops their onions so it was a little hard to eat with the bread. Most places will have an onion slice sandwiched between two pieces of buttered rye bread. The menu read the lake perch dinner came with their famous tartar sauce and I have to admit it was pretty tasty. Mackinaws is a great option for a Friday fish fry and will not disappoint. This place doesn't feel like a classic Wisconsin Friday fish fry establishment at first but once you have their fish fry you'll be back for more.